Gini Wijnaldum loves scoring for his country! He has three goals for the Netherlands since the start of the season – against Germany, France and now Belarus last night. The Dutchman plays a more advanced role for Ronald Koeman in which he’s allowed to bomb forward into the box – something he’s done at other clubs throughout his career. And his effort yesterday evening proves it. 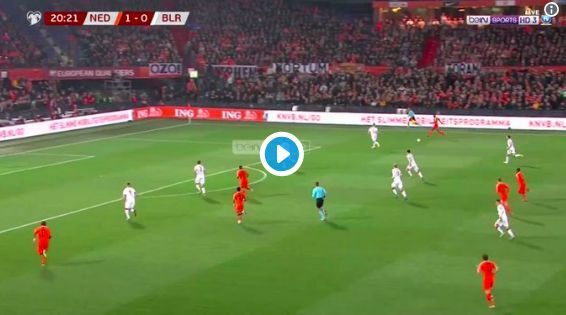 Watch how he breaks into the area and gets on the end of a rebound, finishing with aplomb as Holland ran out 4-0 winners. Jurgen Klopp has other plans for the 28-year-old, but perhaps he should occasionally be let loose – if this what he’s capable of.